It is four wins in a row for the Blades as they move further up the table with a hard fought victory over Peterborough at Bramall Lane. For the first time this season they kept a clean sheet thanks to some good goalkeeping and defending as they were able to hang onto an excellent team goal eventually converted from Matty Done. United had to work hard for the win and the visitors will feel they deserved something from the game having had more efforts on goal by some distance. However, the home side impressed the loyal following by showing a great grit and effort and qualities that they had maybe not seen for some time. Manager Wilder began with the same side that started the win against Wimbledon with just one change on the bench with Laverty coming in for the injured Clarke. Visitors’ Boro came into the game in the playoff places and were one of the highest scoring sides in the football league but also one of the sides that conceded the most. United began the game well and with Duffy and Done involved pushed the visitors back to create some early openings. United won a few throw ins and corners but could not force any clear chances early on. Basham and Coutts helped the Blades control midfield and the confidence was visible. Sharp had the first real chance when he fired over after good work from Done. United then made an even better opening when Done was played in by Freeman but McGee made a brilliant reflex save when it seemed like he would score. Soon after the same man would make no mistake. It was a superb move with quick passing and incisive passing played at pace. Coutts and Basham were involved and the ball was played wide to Freeman again. His cross came over at pace and was converted clinically at the near post by DONE. United came again with Duffy providing a half chance for Sharp and then Freeman getting in and scooping badly over. The home side were in dominant mood and the visitors had not been in the game. United continued to control matters on and off the ball for a long spell but slowly towards the end of the half Peterborough started to come back into it and finished the half well. Moore had to save well after De Silva played Taylor in and the keeper dived to his right. Soon after the goalkeeper made a save to his left in more routine fashion keeping out Taylor. Maddison then drifted past Lafferty and got a good cross in that evaded everyone as United became a bit ragged. They needed to get to half time but strong defending from Ebanks Landell saw United clear their lines twice to get into the break in front. After conceding possession and territory for the final 20 minutes of the half; manager Wilder made a change with Scougall coming on for Lafferty and the substitute began wide right with Duffy on the left in a more traditional 4-4-2 with O’Connell playing a more orthodox left back and Sharp just behind Done. Duffy had an effort curled wide before Maddison did likewise for Posh as the game became worryingly more open for the home side. Done kept plugging away and won possession twice just from sheer perspiration. Scoguall had two efforts on goal; one an excellent driven effort with little backlift well saved from McGee who pushed behind and then a wild slice over soon after. Peterborough continued to have a lot of the ball but at this stage had not had any clear chances and opted to make all three changes in one go on the hour! Soon after good football reminiscent of the move that United scored from nearly produced a leveller. Peterborough came down the right and a decent flurry of passes; Moore put the ball over and Edwards from close range was denied by Moore who made an excellent save. After referee Swarbrick had kept his card away and tried to keep things glowing; a flurry of yellows came with three for United and two for Peterborough in less than 15 minutes. It seemed he had tried to let things flow but a Sharp pull back was the sign for the flash of yellow time and time again in this spell. Incredibly a blatant pull back from Edwards (the worst foul of them all) escaped censure! Fleck was brought on for Duffy as United tried to wrestle more of the midfield battle away as the time ticked away. Peterborough continued to prompt and Bostwick had an effort saved as United tried to hold what they had. However, on the break they nearly killed the game. Some atrocious defending saw Done get in but his attempted lob was wide. Posh came again but Moore pushed away again and despite two corners in quick succession, United held firm. Lavery then came on for the tiring Sharp and chased down two long balls to help see the ball out into the corner. Ebanks Landell was carded for alleged timewasting as the game entered an allotted additional four minutes. In this stoppage time the Blades’ game management was excellent. Coutts had a run and shot deflected over and much of the closing stages happened in the Peterborough half. Smith was booked for dissent and soon after the game ended to signal another win for the Blades. United – Gritty and determined. Two words I did not use much to describe United last season or indeed in many seasons’ in recent times. Quality wise we were lacking for long periods today despite scoring a great goal and having some decent spells in the game. However, what we had to do was graft, get bodies in the way and do the scruffy stuff to ensure we did not concede. I thought in the first half we did well for the first half hour but then struggled for the final 15 and did well to keep the lead up to half time with Moore making a good save. After the break the game was scrappy and they had the better of it but Moore made another fine reflect save. They had much more of the play but did not create tons of chances and we did defend well and for the final spell of the game saw them out well. Indeed, they seemed to run out of gas and I felt by the end we saw the game out well. Another day we could have drawn or even lost but we have lost similarly close games at Bolton and Millwall so today maybe it was our turn to see out a close game. First half we were good and I felt for the opening spells controlled midfield and created a few half chances. The goal we scored was an excellent move and well-made and finished. At this stage we looked the much better side but then they came more into it and we had to see out the first half with a good save from Moore. Second half was a bit disjointed and they came onto us more and more. We tried to change the formation after ending the first half hanging on but we struggled to keep hold of the ball and started to sit back more. You felt they may nick one and could not argue if they had but Moore made another really good save and the defence did the things they had not done last year; kicking and clearing their lines and not making any really bad mistakes. We put a lot of effort in and got the key foot in and tackle and I saw players actually trying really hard which was a novelty after recent years! With 15 to play you feared they still may get one but then we made some changes and too be fair to United we ended up seeing out the game fairly comfortably and the final few minutes was spent more in their half. On the ball for an hour (last 15 of first half and second half) we were a bit sloppy and made some poor decisions. We did not have many openings second half and ended up kind of hanging onto what we had really. It was an odd one as we led 1-0 and did not want to go hell for leather so ended up just trying to keep a shape and keeping them from easy chances. They had one really good one where we got cut apart and Moore saved us but other than that many of their chances were more from range. I felt more at ease than I have in seasons past with a seemingly more solid defence. Midfield was mixed with Coutts and Duffy fading badly and Basham actually being our most consistent man in the midfield. I felt Done worked really hard but Sharp was quiet again. The defence was the strongest part of the side. Still a lot to improve on but the fact we are in the top 6 and have won 4 in a row and can improve is a positive. I am hoping we can stay around these positions in build up to Xmas and then maybe bring 2 or 3 more in to add to the current side. We still lack quality in the central area for me and unconvinced by Lafferty, Duffy and Chapman who have flattered to deceive so far in the wide areas. The biggest thing about recent games is the effort and application. There has been a real willingness to run the extra yard, to put the block in and make the blocks. They have shown a desire and an effort. They look bothered. 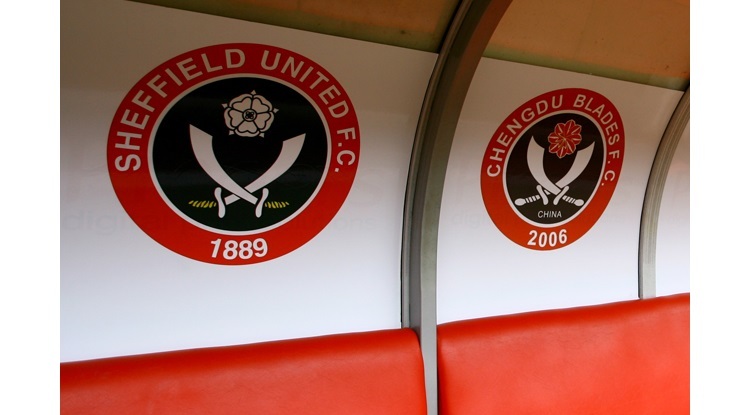 That to me is down to Wilder so a big well done to him as changing the losing culture and application has been one of the biggest issues in SUFC in recent years. It is only a short span of results/performances but an upward curve in those key areas. Tough game next week but we have to go there with belief knowing we have 3/4 at home after that. They have done team 5 and 6-0 in the last two games so it will be a real test. I had them down as a top 6 side due to continuity and a hardworking, settled side but man for man United are as good as them and need to there with a belief that we can win.